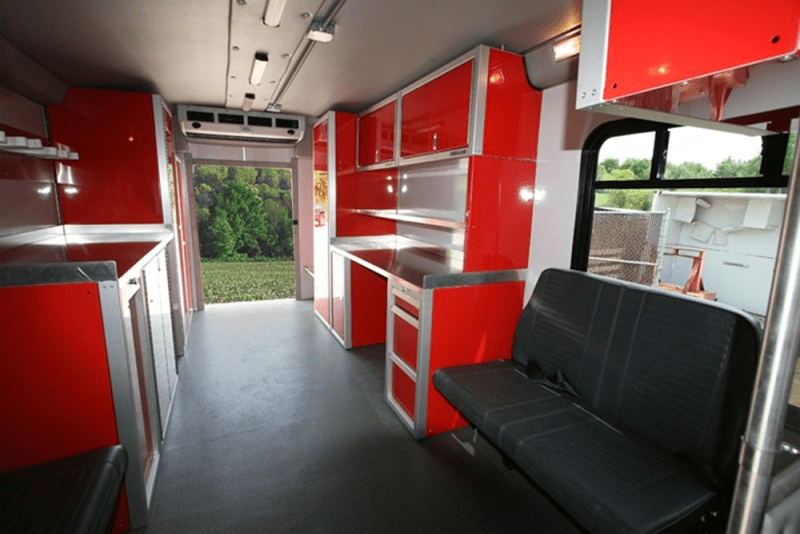 Aluminum cabinets are important in trailers for various reasons. The main reason is because they are lightweight. Discover four other reasons why they are the best choice. Steel or wood cabinets add weight to a trailer, and this means it is heavier to pull, even when empty. However, aluminum is lighter than wood or steel. The less weight to pull, the better it is, not only for pulling, but also for stopping. It is a concern among enclosed trailer owners that heavy towing weight means higher gas mileage, and lighter means better gas mileage. Every vehicle has a tow limit and keeping the trailer light means being able to carry more cargo. Aluminum has a much higher strength to weight ratio than steel. That means Moduline Cabinets are built lightweight and strong. The construction of the trailer storage cabinets is different from a wood cabinet. Wood ones will be either glued and nailed or constructed with screws. Aluminum cabinets are constructed with aluminum hinges and secure latches. The shelf is securely placed to attach to the wall during transport. Wood cabinets take time to build after finding. Our lightweight aluminum cabinets come ready for installation. When they arrive, you simply install them onto the wall. Aluminum trailer storage cabinets can outlast wood since they do not absorb moisture, and will not rust. 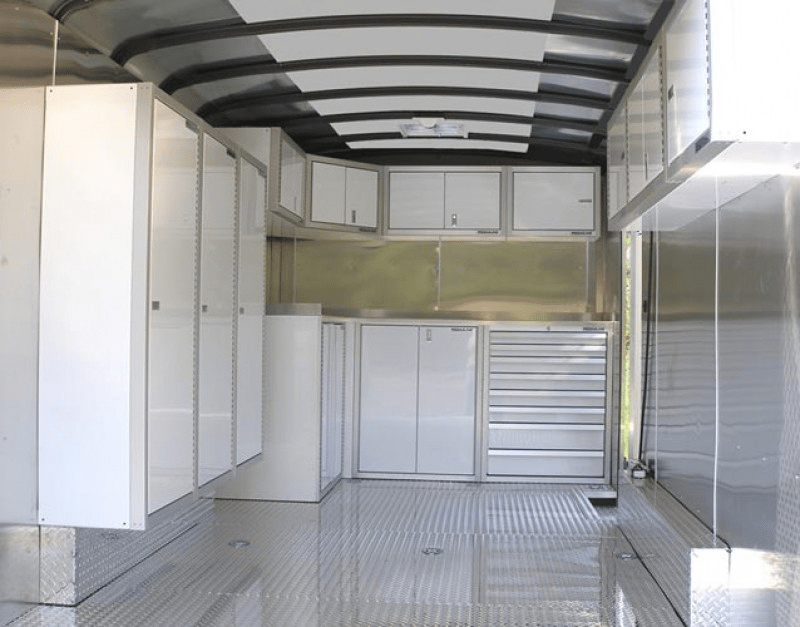 Our aluminum cabinets come in a variety of colors and give your trailer a professional appearance that will last. Unlike wood, they will not deteriorate over time, discolor, or get an aged appearance over time.